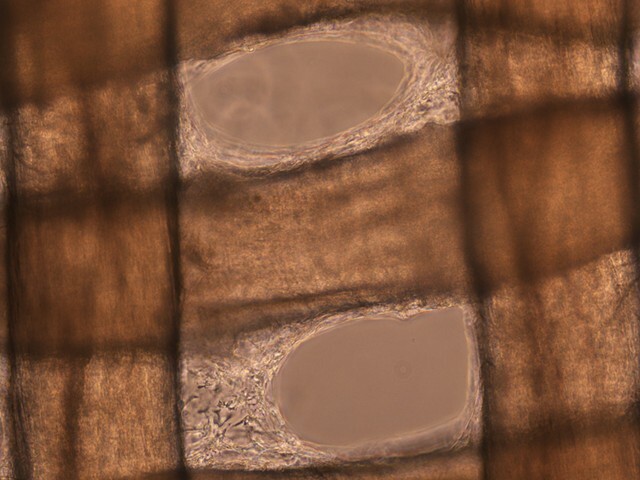 3T3 connective tissue cell growth in culture on handwoven catgut scaffold. Approximately 12 weeks of growth. Image capture by Guy Ben-Ary.